In a Channel 4 News exclusive, UK families affected by 9/11 and the war on terror tell their stories. As filmmaker Tim Lawton writes, they are united by loss and how they have lived with that loss. 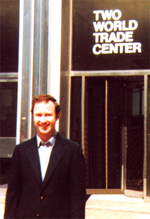 Rob Halligan grew up in Coventry and maintained a long-distance relationship with his father Robert (pictured below) who moved to live and work in New York. As the events of September 11th 2001 escalated, Rob watched in horror thousands of miles away in the TV section of a department store, desperately trying to find out if his father was safe. Learning that Robert's colleagues had seen him going into a meeting, Rob finally started to accept that his father had perished in the towers. Shortly after September 11th, Rob gave up his job to concentrate on music and charity. His charitable work has taken him round the world, meeting people of every faith and in desperate poverty. He hopes for a west that can learn from past mistakes. Music has both been important as he comes to terms with his loss but also a platform to have a say in the war on terror discourse that has dominated the last decade. Rob Halligan, whose father died in the Twin Towers, said: "Looking at 9/11 ten years on and just seeing this continuing cycle of violence you think - we need to find some sort of reconciliation, some kind of way forward that isn't just about killing each other." 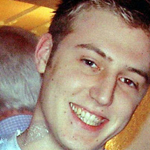 David Foulkes was killed on 7/7 in the Edgware tube bomb. His sister Jill Wood says: "I just feel like there was no reasoning, and I still feel like there was no reasoning. "But that's a feeling that if you don't put to one side, you'll never live." Zeeshan Hashmi, whose brother was killed in Afghanistan, said: "I think it's quite important to consider the sacrifices made by people all over the world - in Afghanistan and Iraq and elsewhere, not just in England and America." Brothers Zeeshan and Jabron Hashmi grew up in Peshawar, Pakistan. As teenagers they moved to Britain and quickly felt very much at home. They both dreamt of serving in the army, and shared a strong conviction to help people. 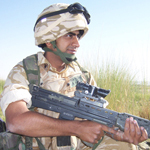 Early in 2001 Zeeshan joined the British army and was deployed to Afghanistan in January 2002 - his brother also joined two years later. In light of September 11th and the events that followed, both Zeeshan and Jabron carefully considered their role in the British army. However, given that they felt comfortable with each facet of their identity - being of Pakistani origin, being British and Muslims - they quickly came to the conclusion that by serving in the British Army they would be best placed to in turn, serve the Afghan people and give them a more stable and prosperous future. Sadly Jabron Hashmi (pictured) and Corporal Peter Thorpe were killed on 1st July 2006 in Sangin, Afghanistan. Jabron is the only British Muslim soldier to have died in the conflicts since September 2001. To pay tribute to Jabron's sacrifice, his family is keen to set up an educational institute that will operate in conflict zones that promotes harmony between people with cultural or religious discord. David Foulkes was a hard-working young sales manager for the Guardian newspaper. The 22-year-old lived at home with his family but was hoping to move in with his girlfriend and start a family. 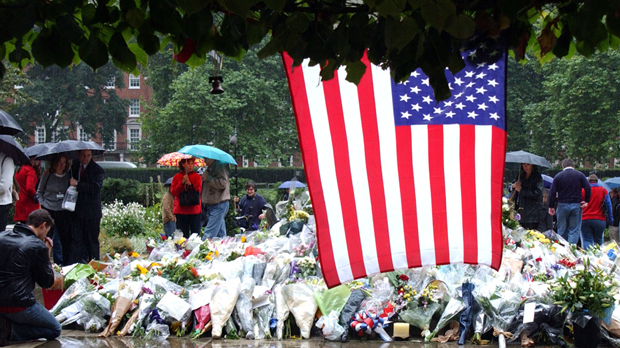 His younger sister Jill was in America on 7 July 2005 and saw on TV the shocking news of the London bombings. She immediately thought of her father who worked in London but a call to him confirmed he was safe. It was two days later, in another call home that she learned that David (pictured) was missing. Her family clinged to the hope that he might be safe but that news never came. David was killed in the explosion on the Edgware Road tube train. Time has not healed the pain for Jill or her family, in many ways she feels the loss even more acutely now because so much has changed in her life since 2005. But she explained: "I just feel like there was no reasoning, and I still feel like there was no reasoning. But that's a feeling that if you don't put to one side, you'll never live." Zeeshan feels that if we were to consider the impact of losing a loved one we might reconsider our actions before committing to a cause. After a decade during which tens of thousands have perished in the war on terror it seems these families wish for a shift on the world stage, in politics and in the way nations find reconciliation; a change that has not materialised.